This month I am deep in writing for the new book. 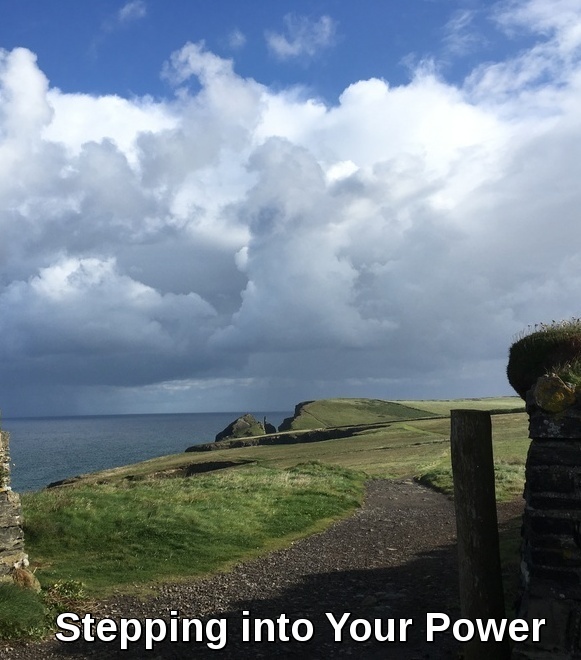 Since July's newsletter the title has changed, from 'Stepping into Your Power', to 'The Pathway to Power'. The content and the form of the book seems to keep shifting too. Every so often I feel that I am stumbling along a rocky path. In truth, some of those rocks are boulders, too big to see around, or over, to the other side, to see where the path may continue. "Dare to be you, stop hiding behind the coaching, challenge the readers to dare to be themselves." Here I am, ten years later, responding to that challenge. Thank you if you read this. If you are in the private Facebook group, thank you so much for your support, and you will already have seen this early extract (which like all book drafts, may or may not find its way into the final version). For those of you who are not, here is a piece for you. It has taken me a while to choose which part of the draft to share here. This was the moment that the title changed, so, even though it is not at the very beginning of the book, it does (at present anyway) appear as part of the first section. 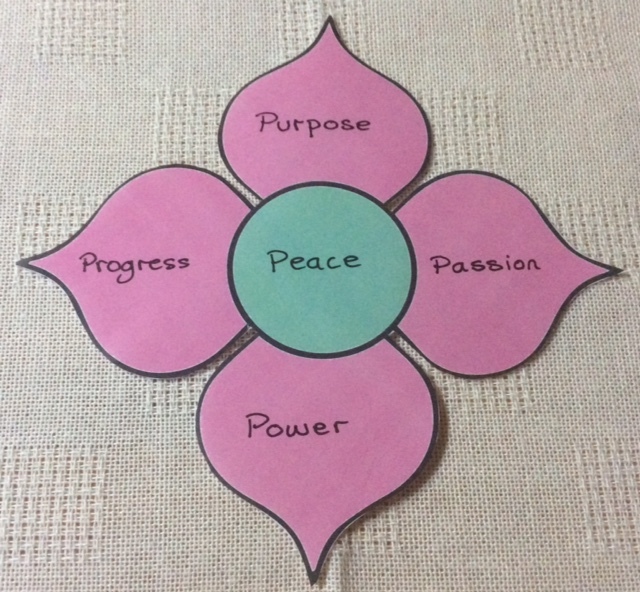 I have also included the first part of the process of 'stepping into your power' using the Dare to Blossom Power Flower, which has some suggestions for reflection. I originally thought this process would be the main core of the book, but apparently the writing has other ideas. If the new title sticks, I will be needing to change the caption on this photo. As you read on you will find several pieces, that may or may not appear in this order, or at all, in the book. The book will begin with the prose poem "Compass Rose Speaks", that I shared with you last month. "Welcome, welcome to the first step, or more accurately, the next step, on your pathway to power. Each of us makes our own way, in our own way. I have learned through my meanderings – often seemingly in circles, maybe in spirals – that in all my searching I was simply finding my way home to myself. Some of my story is scattered through this book, simply to illustrate how the ups and downs of each life are unique, and each in their own way universal. This book is like a patchwork, an intricate pattern of pieces that may not seem to make sense until you step back and look from a distance, from a height, from a new perspective. There are sections following the flow of the Dare to Blossom Power Flower process that I have been using with myself, in one to one coaching, and in groups for almost two years now, at the time of writing. Each part, each petal, contains some prompts you may choose to sit with for yourself, in quiet reflection or with your journal. There are pieces from my meditations, my Magic Carpet Ride journeyings where I have received insights, messages, inspiration. All the things that others report receiving too when I act as their guide, their companion, on the visualisations. And, there are memories. The most personal part of all, and, for me, the most challenging. Have you ever had that experience with a brother or sister, wife, husband or partner, when you are talking about the same event? You were both there, apparently experiencing the same thing, and yet your memories of it can be so, so different. Does this matter? Yes, it does in some circumstances, yes, very much so. And, in others, maybe not. I am sensitive about not wanting to upset any of the people close to me in my life. And I am aware of not making my own memories ‘wrong’ in any way. Especially those from when I was a very small child. There are not many of them, and, naturally I suppose, most of them are of experiences that had a big impact on me. My very earliest memory, and one I can date accurately, is of the day my baby brother was brought home from hospital. I was born roughly two years and five months before him, so this is a very early memory. The picture I see is of being allowed to hold him, sitting on the back seat of the car as my father drove us all home from the hospital. I clearly remember the feeling of love and astonishment, and of responsibility, at being allowed to hold this precious, tiny human being. Whether this happened or not, it is vibrantly alive as a memory for me. When I started this process for myself, many years ago now, ‘power’ would have been – was – a word that frightened me. I was frightened of many things. On reflection, many of those things could have been put under a heading of aspects of power, or of what I saw as that at the time. Raised voices, especially angry ones. Especially male voices. Violence of any kind, even when not directed at me. Lies – I often was on the receiving end. I learned to use lies myself – something I am not proud of now. And the thought arises – how is a lie defined? Are there ‘grades’ of how bad a lie is? Rhetorical questions and ones that maybe trouble many of us. Those with power often use ‘lies’ to control. When they control access to information is that the same? Going down that train of thought feels like descending into a dark pit of confusion. And, yes, all that, all those things, are present in the world. I feel that I can choose, and if you are reading this you are too, a different form of power. As I grew up I discovered other ways – ones I am also now leaving behind. Through choice, and through natural aging – the power of being a physically attractive young woman is no longer available to me. I now know that the internal beauty of a person does not age, in fact just the opposite, it often shines all the more brightly as time goes on. I used to think that quiet people have no power. I have been learning that the opposite is true. Quiet power has deep strength. The power I speak of, the power I wish to step into, the path I have chosen to follow, is of power within. Rejecting power over others. That power that wishes to dominate and control. The power that uses fear, raised voices, anger and violence. The power that needs to make others small and weak and powerless in order to believe in its own power. The power that tramples over people to get to the top and keeps them down-trodden. Power within is different. It chooses to start within. To examine the heart. To connect with the good within each of us. We are each different. Yet, we each desire the same basic necessities: food, shelter, warmth, love. We each have the capacity to give and receive love if it is not frightened or frozen out of us by fear. And even then, there is the seed, the capacity there to love. It may need the most tender and hands-off nurturing in order to dare to even think about breaking out from tight in the bud; to dare to blossom is maybe be a step too far. At first. When the power within does emerge, and is used in the collaborative, feminine way, it supports others: together we rise. Male or female, or however we may see ourselves: bringing a balance of yin and yang, feminine and masculine, action and reflection, allows the best of each to shine forth together. The power that I invite you step into, gently and with ease and grace, is a quiet power. A power that can move mountains and change the world, one small step at a time. A practical power that helps us be true to ourselves and to operate from that place, at work, in our businesses, in relationships of all sorts. I am young, five or six, I don’t remember exactly. I have been very ill, for what seems like a long time, with rheumatic fever. I am so weak that my mother has to carry me downstairs in the morning where I lie on a ‘day bed’. My little brother is able to run around and play outside, I am very envious. A doctor comes regularly to look at me and gives me injections with an enormous needle. One day our old cat climbs in the window above my bed and lands in the bowl of pudding I am eating. Very messy. One night, I am alone and scared. I call out for my mother, but she doesn’t come, maybe she can’t hear me. I doze on and off, but I am sure I am awake when I hear a voice. It speaks to me, clearly, with a message. A message that is comforting and that is to influence me greatly later in my life. If only I hadn’t forgotten that message for so many years. Or, maybe that was the way it was meant to be. In the same way that as babies we come into the world forgetting where we are from and how we come to be here. I don’t know when I forgot hearing the message and the words the voice spoke to me. It was a very long time before I recalled even hearing the voice. When I did I was frustrated for quite a few more years by not remembering the words. Eventually, after some difficult times, which proved to also contain gifts that transformed my life, I did remember one day, in a meditation. At first I heard the voice as a deep one, and wondered who it was, assuming I suppose that it was someone outside myself - God, Jesus, an angel? Later, I came to the realisation that - for me - the voice is from my higher self, the source of my inner wisdom, and of my power. From my connection with the energy of all that is, the source, of which I am a part. My journey home to myself has been made possible through connecting deeply through dreams and visualisations. The experience I will share with you next has been a touchstone in all my work since, and took place at least three years ago, probably four. “Starting in ‘reality’, I am outside, on our roof terrace in the sunshine. I am surrounded by the timber of the walls and decking, warm wood. As I enter into my meditation I find myself walking. Walking away from a group of women, a circle. They are following me with their eyes as I go. I hear no sounds, yet I know they are calling me back, asking me to return and re-join the circle. I hesitate: I look at the path ahead, it looks inviting. I look back. I see the love and companionship offered there. I know I have a part to play in the circle, that without me the company of women there is incomplete. Without me the beauty of the tapestry that can be created will be missing a stitch. The power of the collaboration will be diluted. I turn and walk back towards the waiting women. I am greeted warmly, and before I re-join the circle, two of the women lead me into one of the tents, that surround the fire pit. It is dark inside as I enter, my eyes taking a moment to adjust. Waiting to greet me is a wise elder, an older woman. She smiles, and holds up her hands, palms outwards. The wise woman embraces me warmly. As she does this I realise that we are becoming one, we are merging ourselves, our selves, together. I have become the wise elder woman. A note from my experience: when I began this process, my inner critic would keep popping up laughing cruelly at my lack of imagination: magic carpets. Native American guides. Walled gardens. Later I realised that all these images and more are universal archetypes from myth and legend going back to the days of purely oral storytelling. The familiarity of them is a way to help me understand the messages they may bring. Step One: Peace – where is your sweet quiet centre point? Grounding, balancing. The centre of the flower, the grounding place. The place from which the petals unfurl. Botanically, the centre is the place where the pollination takes place and the fruit begins to grow and develop. Within the fruit, the seeds of the new generation of plants - and so the cycle goes on. As part of the Stepping into Your Power process, having a strong centre feels essential to me. Until I realised this, I see now, many of my efforts to step out were taken from shaky ground. And that meant if I felt a wobble or uncertainty, I had nothing to come back to, nothing to anchor me. It may seem obvious to me now - but it has taken a long journey to come to this realisation, and to then begin to build that strong foundation within myself. Not depending on others. Being strong and secure; standing steady in my own being. This doesn't mean not asking for help. Being able to do this has been crucial for me. This has taken a serious of steps. Finding where that help may be, and who from. Finding who I felt safe asking for help. And, then being able to ask even when I did not feel safe. Being able to understand and cope with rejection if it did happen, whilst being secure in the knowing that all is well. That maybe what my immediate response perceived as 'rejection' was in fact the 'help' I was asking for, a message for me. For me, I feel it is crucial to find that grounded centre point, that strong, peaceful foundation of self and soul, before I begin stepping out, stepping into my power, unfurling the first petal. Does that resonate for you? How would you describe that feeling of having a secure anchor in a storm? One that is truly sound. At various times in my life I have felt I have found that, and then my experience felt as if it gave way, the anchor turned out not to be sound. Maybe I had set it on insecure ground. Is that part of our travel through this life? The process of coming home to ourselves, of rediscovering our inner wisdom, is that one of testing our anchoring points and finding them over and over, coming back more and more truly to our essence? Begin with finding that peace that comes when you sit with your breath and deepen into it. Breathe it deeply in, down into your belly and spreading throughout your body. Hold for as long as is comfortable - no forcing here. Notice the peace in that moment, in that space, that gap between in and out breaths. Breathe out slowly and luxuriously, feeling the tension flow out of your body. Pause again at the end of the out breath, noticing the peace, the space. Return to that whenever you remember through your day, your week. Journaling exercise for a spare moment - even if you have no time to write, the prompts will be working for you. Where are your favourite places to find it? What are your favourite ways of accessing peace? When you can't seem to find 'peace', how do you feel? How can you be OK with that? How can you find your way back to peace in the midst of a busy life? If you own a pack of the Dare to Blossom Rediscovery Cards (or any other cards you enjoy using to access your inner wisdom), it is a valuable additional exercise to draw a card, or more than one, for each part of the flower as we reach it. Write about your first responses to the card, the word or words on it, the colour or design. Do this before reading any words written in a guide or companion book. For me, 'Peace' often appears in surprising ways and unexpected places. As well as the obviously 'peaceful' times, I find it in a crowded train; when driving on busy roads; when my husband has the television on loud. I find it in my heart and in reaching out to others through my heart to theirs. How does your own Peace centre point work for you? Does it feel ready to be the foundation for you to grow? To step out, to begin to truly stand in your self and to discover what your purpose will be? And, 'purpose' may not be a grand, whole lifetime sort of purpose. This works on many levels. Maybe, right now, your purpose is simply to be? To be you, to be here, to be enough. Maybe for life, this is your purpose? To get up tomorrow morning and begin a new day. Taking one small step at a time. Finding your way gently and gradually as you move forward into the unknown. To be Peace. To be in Peace." So - there is a taste of the new book: I know there will be plenty of change before the final version emerges ready to publish. In due course I will be looking for people to read a final draft, and write reviews for the book. Let me know if you would like to do that for me. When thinking more deeply about how to write more of my memories, I encountered one of those rocks, those boulders. In many of my memories, there is an element of what - eventually - I realised is shame. Parts of me, those 14 year old, 16, 18, twenties, thirties, forties, fifties.... and onward through the years... those parts of me are in some way ashamed. I will be sitting with each of those parts, and giving them some tender loving care. Asking them gently to explore with me, the things - whether that I did or that I experienced from others - those things that bring that feeling. Then I realised that this is not just my experience, many of us (all of us?) feel the same at times. So I returned to the work of Brene Brown. As you may know she is an academic researcher, a writer and inspirational speaker. On vulnerability, and shame, and 'daring greatly'. Here is a very short video clip of Brene with Oprah. Very clear and simple, to paraphrase: Shame thrives on secrecy, silence, and judgement. The ways to combat shame are to: Talk to yourself as to someone you love. Reach out to someone you trust. Tell your story. She also has many other talks online, here is a TED talk from 2012. I have also found another piece of hers about choosing who you share with, and this has given me a pause for thought. Where is the balance point for me I wonder? More to explore and reflect upon as I write. One final piece, this time on how joy can be terrifying and the antidote to that being practising gratitude. Simply a short summary this month, follow the links for more details on anything you are drawn to explore. The next workshop in Cornwall is on 15th September, bookings are already coming in, so do contact me if you are intending to join us. There are still coaching slots available at the half price offer until the end of August, the regular details are here, to take up the offer you will need to contact me direct, or simply book your complimentary consultation. Finally, why not experience your own Root and Branch Listening. 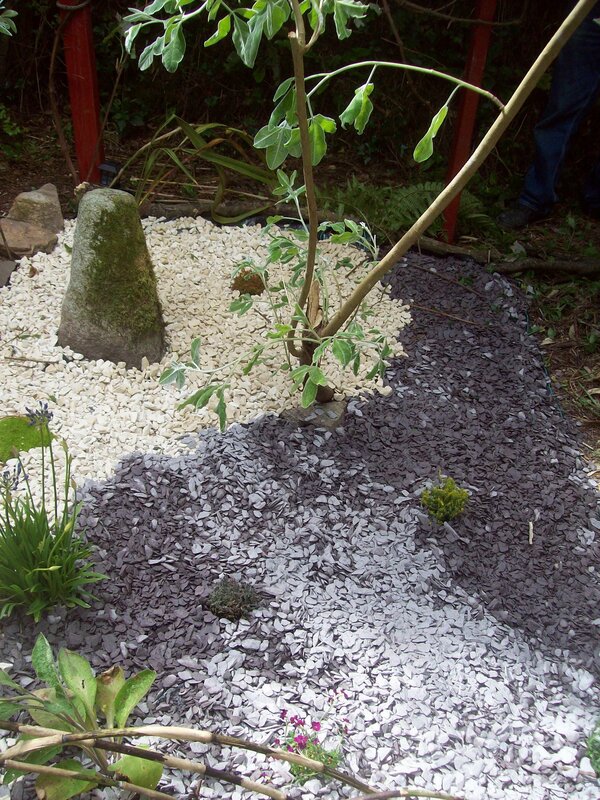 Tthere is no time commitment for this offering as it is all done remotely, so if the summer holidays are so busy you can't possible book anything this may be perfect for you. So, when she gave me a free hand, simply saying she likes the purples and pinks I use and had an idea of a bird or birds flying - I accepted and relaxed into enjoying the challenge. As we are live quite close together geographically, we were able to meet half way for coffee so I could deliver the finished painting in person. "It truly is a beautiful piece and really evocative. I never expected life coaching sessions with you to lead me where they have and as a consequence I was inspired to take my career in a direction that I hadn't really thought of before. Your coaching sessions really enabled me to think more creatively and these birds in flight sum up the feeling of letting your imagination and your dreams take flight instead of letting yourself be stuck in a rut with your feet bogged down on the ground. I'll be able to look at your artwork and remember all the things we talked about and why I'm taking the exciting road rather than the safe (and boring) one I was on." 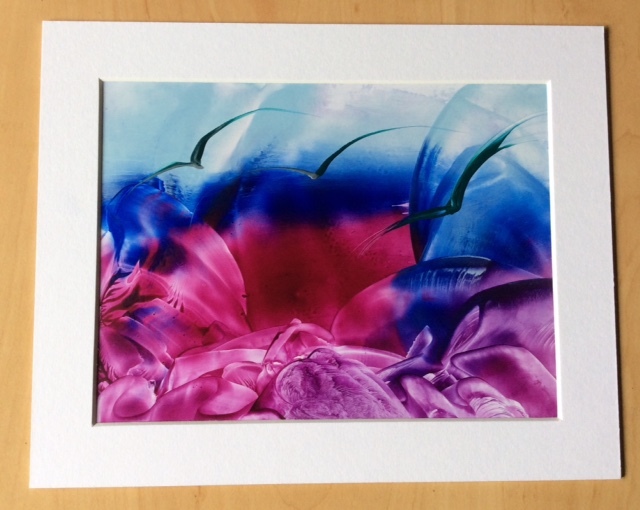 If you are interested in my art, there are original pieces and some prints, plus cards available on my website. At the moment I am offering £10 reduction on any of the original paintings there. Please contact me if you see one you would like to buy, as the sale price is not available on the website and the postage and packing cost will depend upon where you are in the world. Of course if you would like to commission your own piece, that would be wonderful. 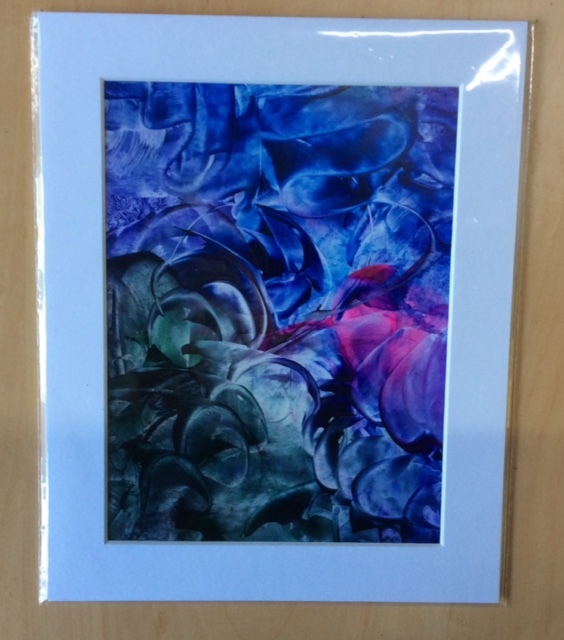 Either reply to this email or via the contact form on the website to open the conversation about what you would like to see hanging in a special spot on your wall.